When I was a child, I never had one imaginary friend. I could never limit myself to one. And when I did seek them out, I would steal them left and right from books, having in the end something more akin to a kingdom in my head. The funny thing is this kingdom is still around. No, I don’t need any help, but they are there, transformed now from warriors and wizards into readers, editors, agents, interviewers and publishers. And if I am walking my dog on a late evening, there is a chance I might be working out a pretend interview in my head or I might be thinking of a meeting with a producer interested in one of my books, figuring out how I would pitch the material. Typically, I don’t talk out loud (even my dog would question my sanity then), but those conversations are there as I am always planning, considering my options and thinking of the next steps I might need to take in my career. Yes, the imaginary friends or the capability for internal debate like this is still around and it is now a tool I use. And using my imagination like this has grown, assisting and encouraging… and not always truthfully. Spawning dreams and delusions that I use as tools as well. All artists have delusions, some are big and some are small. They empower our debates, drive our inspiration forward, and give us hope even in the bleakest of hours. There are, in my humble opinion, four universal delusions that all writers share. 1. I can do this and I am ready! Honestly, I was terrified to write my first book and I made many, many excuses not to start it. While I always dreamed of being a writer, when it came to actually working on something that expansive, that consuming, I would make excuses; hide like a child worried about a monster in a closet. I wrote over 60 short stories before I attempted that first book. I finally won the argument with myself that I was ready when I began to realize that my short story collections could be fitted together like a puzzle. Even to this day, I always seem to strive for assurances that I am ready for a project or for that next step as a writer. Some writers just jump into the fray, in the past I joined writing tables (even ran a few) and extensively studied it in college, getting a BA and then an MFA. I even taught it on the college level! Now, of course, I have no one around me that can really tell me when I am ready. No one can really tell an artist to get on with a project unless the artist and their creativity wants to. They need to buy into this first delusion and that is what I learned down that path. Of the four universal delusions this is the one that I am most used to. It is my closest friend. Many years have gone since I was that young writer and today I seem to enjoy that feeling of fear and uncertainty. I like a challenge in my writing. 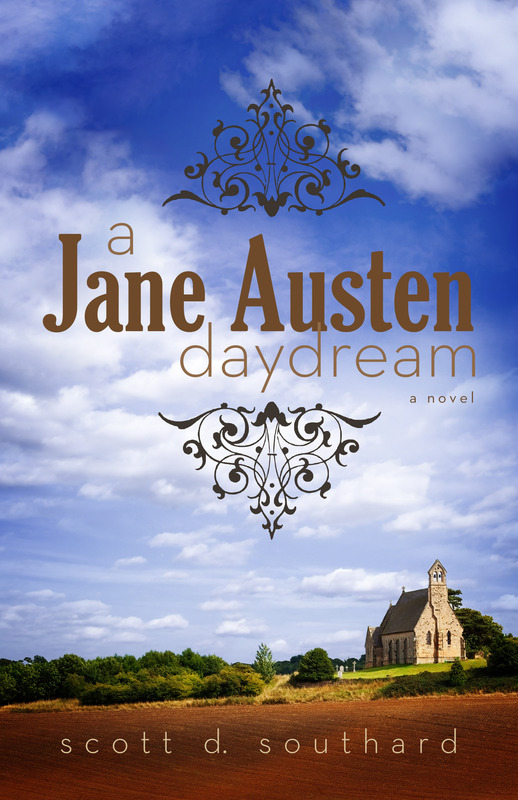 A great example is my latest A Jane Austen Daydream (A re-imagining of Jane’s life like one of her novels, giving her an adventure she might have wanted for herself). I sat on that idea for years before I had the courage to attempt it! Then once I began, it took years of researching and rereading Austen books again and again. But the delusion was there, leading me on, holding my hand. The only person that knows when you are ready is you. 2. It is important I finish this! Unless you are JK Rowling and you have children chasing you, demanding the next book in your series, chances are there is nothing that says you have to do anything. Of all of the delusions this is the one I have the most fights with… and sometimes this delusion has failed me, didn’t convince me. My computer has a collection of empty folders and half-finished WORD docs. They are the constant reminder, the graveyard with computer tombstones of this delusion faltering. See, reality (the great enemy of the imagination) would tell me–would tell anyone–that writing a book is too much work, too much time, and the chance of any of them finding success or literary acceptance is moot. And yet, I keep trying. For a time, I gave up this delusion and lost the imaginary battle. This was a dark period for me as a writer, it was after I lost my literary agent and for five years I walked away from writing. That is not to say I stopped getting ideas. I would still wake up from dreams from time to time and reach for a pen to write an idea down. The thing is I didn’t have a waiting pen anymore and when I had to consider the idea of getting up to find one… well, I just didn’t. Yes, I missed this delusion for a time, but today, I am back in the game. The only person truly demanding you work on a book is you. 3. This is unique and special! 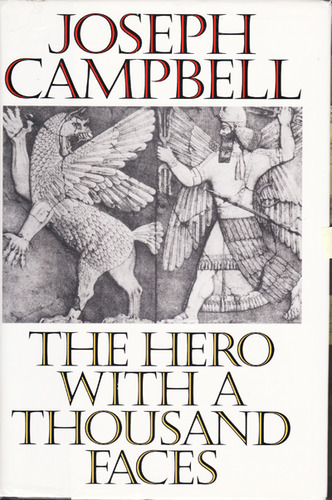 Joseph Campbell argued in his wonderful book The Hero With A Thousand Faces (which I recommend to all writers) that we are all writing the same myth. There is some truth to that, because when you step away from the paths of the “hero” in your story, you can feel it in your gut. Something feels off. The hero’s journey is part of our makeup. It is more than just how we interpret a story, it shapes how we look at our own lives and the lives of others. For example, when someone isn’t living up to their role as a “hero” you know. Yet, when it comes to writing, we all like to believe that what we are making is different, important; and deserves to be read before any other book because of how special it is. You see the conflict here? We like to think our work is different, but, honestly, we all have the same sources. It is like our books are trees, but we are all growing from the same earth. The funny thing is it is in this delusion that the “imaginary friends” emerge again as readers, and I focus in on them as my target audience, thinking that the book would work best for them, a certain part of the literary market. Each of my books have an audience right from the start, I can see them right there in my mind! They are just waiting for me to finish. You need to believe in your writing. 4. Success is my destiny, jump on board! The first negative query response is the worst. It will always, always be the worst. Imagine, you have just completed a book, proud of it, and you feel finally ready to sing about it to the world. So you create that first query letter, maybe even give it to a writing friend for their input, and then with fingers crossed (and maybe with a kiss on the envelope), you send it out in the mail, or hit the send on the e-mail. Some argue for skipping the agents and traditional publishers and going into self-publishing, but even then those writers are following this delusion. In many ways, they are following it more than the writers sending the query letters because they like to believe that they don’t need the traditional paths anymore. They can forge their own path, thank you very much! Recently, at the request of followers of my blog, I self-published a novel. (They argued I needed to experience the truth of that market today.) 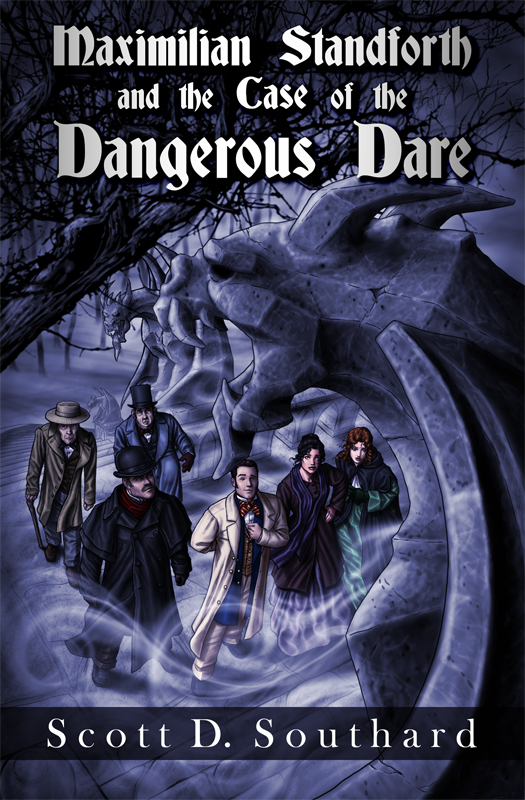 It was called Maximilian Standforth and the Case of the Dangerous Dare, an experimental, fun, and twisted book pretending to be a Victorian mystery. Seriously, I love this book. And I documented my experience on this site in a series of posts; from finding an editor, working with the editor and finding a cover artist. I even wrote an entire post just on the struggle of choosing a font! Then I went with CreateSpace and Amazon for the release. Yet, in the end, the experience pointed out to me the importance of this delusion. I want to believe all of my books are destined for literary greatness, but I also see the numbers. The numbers are everywhere, I can’t escape them, especially when one self-publishes a book. I see the numbers in sales, the number of reviews, the number of views about it on my site (and the number of clicks after), the numbers on Good Reads, etc. And I am always reminded of the number of books available today when I go on Amazon. 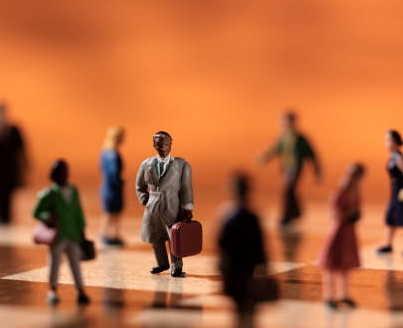 The fact is we live in a very, very congested writing market. Destinies are always getting lost in the search engine. Hope for success, but don’t let it drive your writing. Write for yourself first. Dreams disappear with the light of morning, many times escaping back into the crevices of our imagination never to be seen or heard from again. And as we enjoy our breakfast (for me usually a granola bar) we have already moved on. Allowing them to disappear. Dreams are fleeting, they are fragile and it can take work to keep them in our mind. It takes work to keep the hope of creation alive; it takes time to prepare, plan and execute; it takes inspiration (sometimes with blood and sweat) to take an idea from a spark to a product; and it takes courage to share the final product with possible readers. And sometimes the readers in our head will agree with applause. 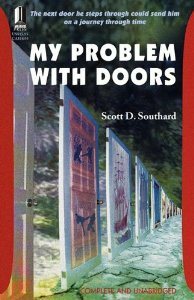 This entry was posted in Writing and tagged Amazon, artisits, Authors, cover artist, createspace, Creative Writing, Creativity, Dreams, editor, Fiction, Inspiration, Jane Austen, Joseph Campbell, Kindle, Literary Agents, Publishers, Publishing, Query Letters, reading, self-publishing, The Hero With a Thousand Faces, Write Tips, Writing, Writing advice by Scott D. Southard. Bookmark the permalink. Great blog to follow, I really liked this post. Great post. I can relate to each of these delusions. I wrote 200+ short stories and articles before I let myself believe that first one – I can do this and I am ready! And they say men can’t multitask! I can dissemble at the same time, too! You have an exceptional blog today. Thank you for sharing. Thank you so much. The response to it has been very nice. Honestly, when I was writing it I had some concerns (too much about me, finding the focus of how to use it to your advantage, etc.). But after sitting on it for a few days, I edited it into the draft you see today.